Blank Page Muse: USING YOUR GELLI PLATE AS A STAMP!! 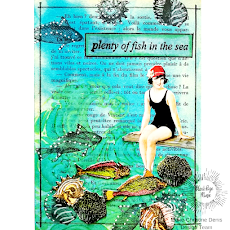 How would you like to use your Gelli Plate like a stamp? It is such a fun way to Gelli!! This month, the design team was given a 3"x5" Gelli Plate to use. What a fun size to play with! You can put it on an acrylic block and stamp with them! Stamping color blocks that are 3"x5" is cool, but what if you added punchinella or a stencil on top? AWESOME HAPPENS!! 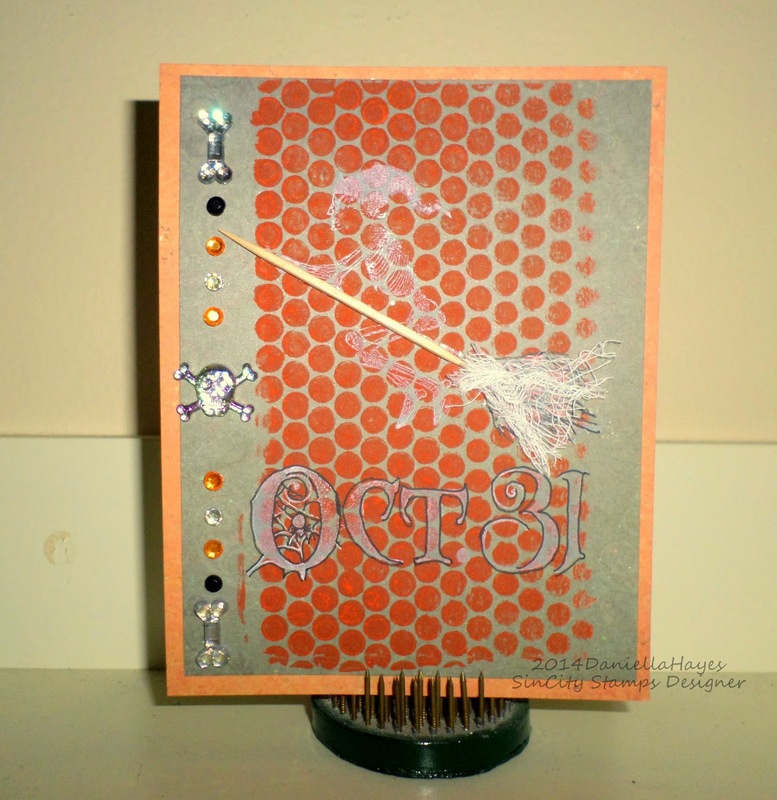 I made 2 cards with my Gelli Plate and my Halloween Bingo Stamp Set. Are they fun or what!! Check out my Snapguide tutorial to see how!! 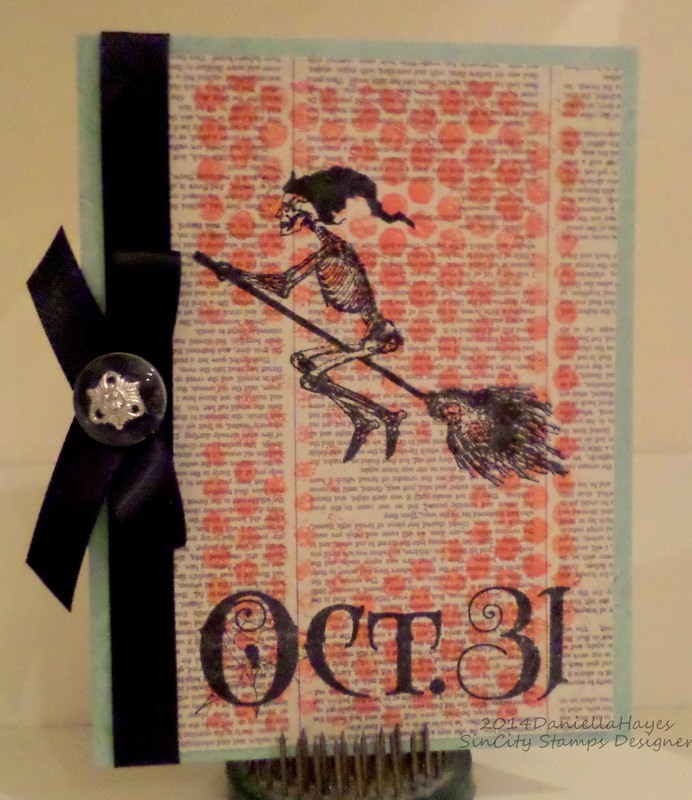 Check out How to Use Your Gelli Plate as a Stamp. by Daniella Hayes on Snapguide. Way cool, Daniella. 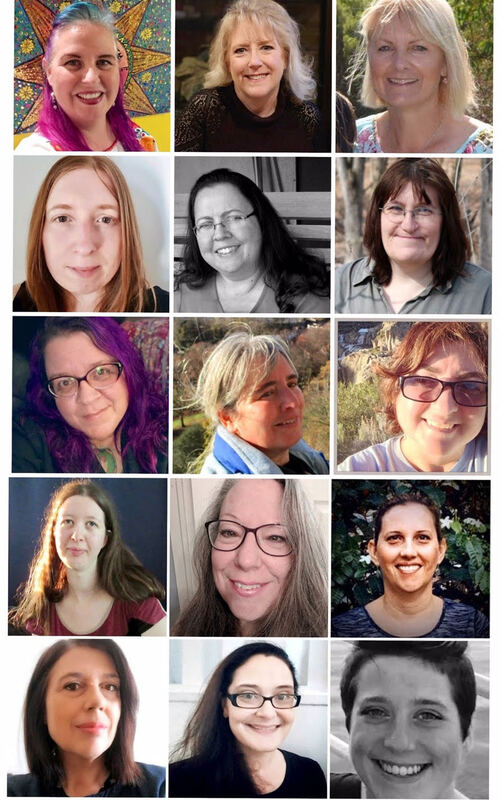 Your cards and prints came out beautifully, and your tutorial is awesome!!! That is nice Daniella!!! Great background! I love it... Amazing.. I am loving my gelli plate..